I listen to a LOT of music and I prefer earbuds for much of my listening since I use them when I commute to work by bicycle and often wear earbuds when out in the mountains enjoying a hike or mountain unicycle adventure. Anyway, when I first was offered the opportunity to review a set of bassbuds, I thought I would pass up since I hadn’t started any product reviews here at LearnThis.ca before. However, at second thought, since I do so enjoy my music, and also listen to a LOT of audio books while commuting, I think earbuds are essential as a learning tool for me so would be worth reviewing here. Having quality earbuds is crucial to enjoy a good audio book without being distracted and struggling to hear it and the bonus of great audio for music as well I think any of my readers can relate to so I hope you enjoy my review here the free pair of bassbuds earbuds I received. I was impressed right from the start of opening the box for the classic bassbuds I received. First of all, they were well packaged in a box that presented well, not some cheap plastic tough to tear open container. The box is a simple flip lid and there was minimal plastic in the materials, mainly paper and cardboard, which I am always happy to see, as this world uses far too much plastic for packaging. I was also happy to see the extra replaceable foam pads and silicon ear cushions of different sizes. There are several sets of these at different sizes so you are sure to have a couple spare options and a perfect fit for your ear size. Many ear buds come with with one or two options and don’t actually fit that well, so I was impressed to have the selection of ear pieces. The headphones themselves were as easily impressive and presented well with their bright color, quality aluminum shell and impressive cut crystal on the back of each earbud. My wife actually said, “Wow, those are sparkly!” if that adds to their appeal at all. The connectors look solid and the cable feels strong, not like many flimsy thin cables on ear buds. I expect these to last longer than most will. On the cable, the left and right side split off from a small button on the wire. This button is for controlling the track, mute and mic options by pressing different sequences. 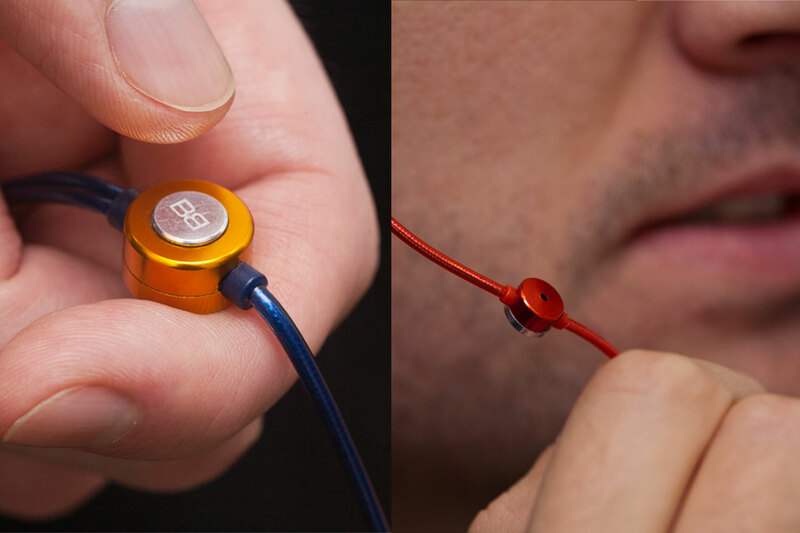 On the right earbud, there is also another small inwire cylinder with a mic in it for using it with a headset on your smartphone. Due to having stereo sound and the microphone options in one connector, it uses a 3.5mm 4 conductor jack common on most smartphones now. To use it with a PC, you will need an adapter cable to split the mic and stereo audio to separate jacks as most computer sound cards use. Some DAC (digital audio converters) devices will have support for this directly. 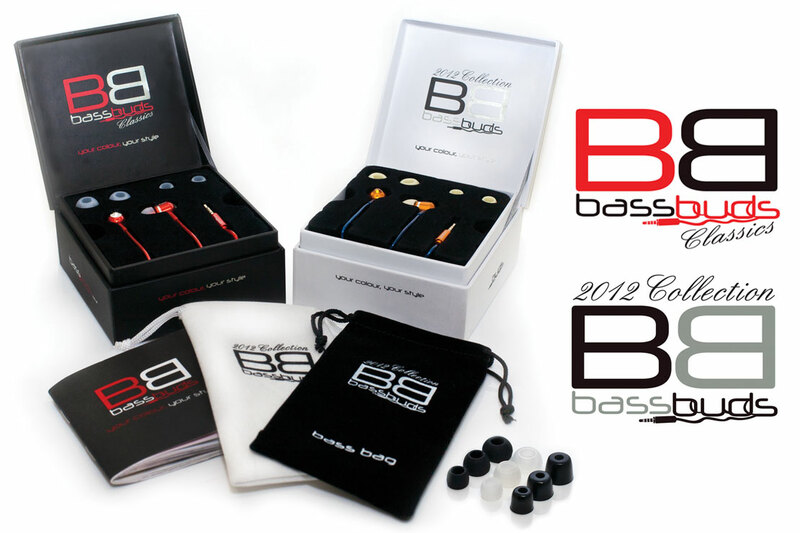 There packaging also contains a bag with extra foam and silicon ear pads, a card for the microphone button sequence options and a booklet showing the various styles/colors available from bassbuds, which I don’t see much point in including once you buy from the selection anyway. The plug itself is quite small which is great, however it is also very tight in every jack I used which sometimes made it too hard to unplug. I’m sure that will smoothen out with use, but it would have been nice if the bassbuds had a slight texture or ridge on the back of the plug to make it easier to pull out, as its easy to slip off the jack and pull the wire when you are trying to unplug them, so you have to be careful. The wire seems very strong though and doesn’t easily knot up, so I’m sure it can handle some wear and tear, as you toss these in your pocket or backpack if you don’t use the bag to store them. Sound quality right from first use has been impressive and very good! These earbuds sound very very nice with smooth bass, good crisp tones, and not too sharp fatiguing the ears. The isolation of the silicon flaps is really excellent and they block out most outside sound very well, leaving you to listen at lower volume levels protecting the ears, with all the tonal quality and music quality as at higher levels. Even in a noisy environment, I found I could hear these better than all my other earbuds with foam pads. I have found that foam pads have good isolation, but surprisingly the silicon buds work easily as well, and leave far less wire noise and friction noise from turning your head, bumping the wire or moving your clothing around than do the foam inserts I’ve used a lot from other earbuds. This was a nice improvement from what I am used to and make them much easier to enjoy for a longer period of time. Music quality is very good in a wide range of music. I listen primarily to electronic genres of many types, dance, trance, goa, electro house, dubstep and deep house; all of which rely on solid bass and wide high ranges. These bassbuds performed beautifully in all of these genres and testing them with some hard rock, smooth vocals and a bit of blues and jazz, they continue to surprise me at the sound quality they deliver. I put these up against my Grado SR-80 headphones I love the sound from and the bassbuds easily compare in overall sound quality and smoothness. They are certainly a little heavier bass than the Grado’s even with a headphone amplifier for them, however, the sound on the bassbuds is a little smoother without the crisp midrange, but the difference is minor. The upper frequencies on the bass buds I have to say do suffer a bit with lower output, and a bit of tone variance with simulated frequency ramping, but only compared to the higher quality Grados, not against any stock earbuds or additional earbuds I compared to, which they easily outperformed. The nice advantage of the earbuds is they do deliver much more bass and dynamic range at lower volume levels and certainly better in a noisy environment. Similarly for voice and audiobooks, they provide great sound quality and again the isolation allow you keep volumes lower without as many distracting background noises as you would otherwise be distracted by when listening to audio books. As a bike commuter, I also tested these compared to some of my other foam earbuds. The isolation from wind is still a big problem and these earbud don’t seem much different than most for riding at speed, however, the isolation of outside noise I did find was better, so you hear less traffic, engines and other vehicles, even if you do hear lots of wind noise. I have only tested them with the silicon pads, not the foam inserts so far on the bassbuds. The inwire button for microphone control is also very convenient for commuting and using with your phone while listening to music. The button can be pressed once to simple pause or unpause your music on most mp3 players (I used it on my ipod nano with full mute/next/prev track controls). It also worked on my blackberry bold to answer calls, do voice dialing with the built in microphone and to answer/hangup during music playback. The blackberry didn’t seem to work for next/prev track control however, like the ipod did which is very convenient to use while cycling. Overall, these earbuds are very comfortable to wear for extended period of time and they never seem to push hard in my ears and cause any discomfort. They stayed in place quite well and were a bit forgiving in how much bass you would get even as they started to loosen out of place a bit. I found that it stayed in my left ear perfectly and I had to push it back in a bit more often in my right ear however, this was still better than my other foam only earbuds. The silicon feels a lot softer than foam so I had longer tolerance wearing these than some I’ve used. The different options you get with the bassbuds should easily give you a great fit and something comfortable can be found using the different insert sizes and styles. As I said above, the sound quality being smooth and even a smooth bass response leaves you with a comfortable sound for heavy bass tracks, classic rock, house, blues, or audio books. Overall, these bassbuds are great earbuds and I think the sound quality puts them at a good price mark, decent value and the build quality of them make them a great product. You will enjoy all kinds of music with them, especially anything with good bass beats and the microphone and smart phone options for voice, answering/muting/track control, make these a great earbud to use everyday. I highly recommend these and know I’ll be using them on my daily commute now until they wear out, as they are the best earbuds I’ve heard for all around use. I don’t like the sound quality of these buds at all, my standard samsung buds sound múch clearer and fuller. apart from that the little grate on the right bud was missing upon arrival. don’t buy folks. You are right lisette. They don’t have a volume control. I’ve never used headphones with volume expect real cheap ones or ones like with the apple products and they seem to get poor quality fast and add noise to the audio in the volume control, so personally I wouldn’t want it anyway. My media device always has a simple volume control right on it, so can’t imagine why its needed on the wire. I am very impressed of BassBuds. With all you get and the quality of sound these are very much worth purchasing. In fact I would even say i think these would be a perfect, must have, for Christmas. I purchased a pair from groupon. The right ear bud stopped working after 3 months. I contacted Bass Buds since the product came with fully warranty. They told me to contact groupon who said they can only take returns within 14 days. I contacted Bass Buds again. They said they would replace them but they do not ship to or from the US for free since they are in the UK. I would have to Ship them my ear buds that were broken and then once they have reviewed them, they could send me a replacement pair at shipping cost to me. For head phones that cost $80 with a full warranty program, i expect better customer service. I paid $30 for the headphones off groupon and will end up spending another $30 – $40 on shipping, plus over a month of waiting time to replace the headphones they sold me that only worked for less than 3 months. I would NOT recommend this product for anyone. Save your money and buy a cheaper pair that lasts 10x as long. Thanks for the comment Ashley, I fortunately am still using mine, no problems, but I’ve heard a few stories stories like yours unfortunately. Hope they last for you now at least. I had the same problem as Ashley- Mine stopped working and I am currently struggling to get support from customer service. Any advice on how to attempt a replacement under the warranty?? Thanks Sarah, I’ve been fortunate mine are still working fine so I’ve not had any dealings with them for support/warranty no. Not sure why they would tell you that. If you go to bass buds.com/USA or the UK site. Click warranty and they have express warranty. Has a special super fast time of 2=5 days and you Dont get ones that are fixed you get a whole complete new pair- as long as you show proof when you purchased your bass buds. Upload your picture of the receipt. Send them back, and get brand new pair within couple days. As long as its in the twelve month time period of when you purchased them’ your all good. I hope this helps you out. I love bassbuds, they are the best looking earphones out there. I have purchased dre beats the tour edition and I can say they are pretty close to bass buds, it bass buds have better look, come with more ear pads in two kinds with tons of different siZes. I would of liked a better carrying case likedre beats, but it works. The box it comes in is awesome packaging. They are a steal of a deal. Buying another two pairs on groupon for $19.99 and free shipping. So if you like them go purchase a pair right now. They Haven the classic colors and fashion ones as well. The only things I haven’t figured out is how the warranty works if you don’t our came from Groupon. Now that the USA one you can do it from, I wrote them but i havent heard back yet considering I did it right before getting on here. 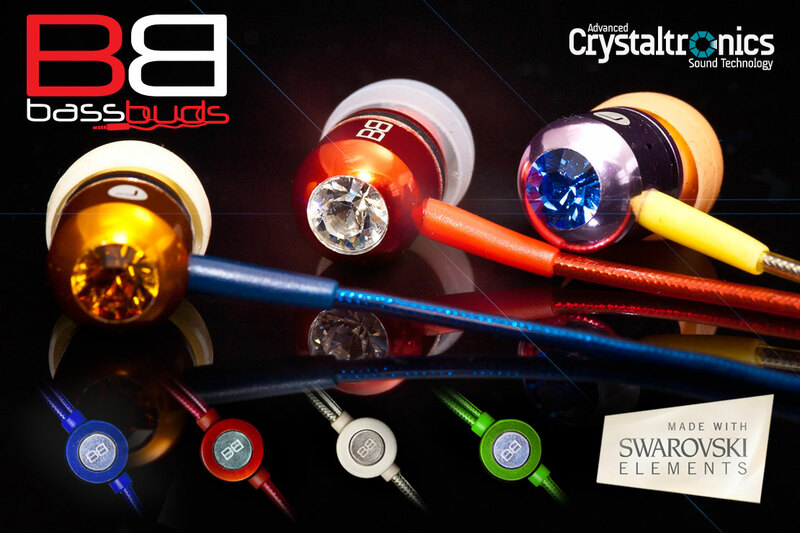 But all in all bass buds have fantastic looks and colors are so vibrant, the swarovski crystals alone are worth more then the price of the earphones on Groupons. You couldn’t ask for a better deal. I might actually go buy a few more pairs now lol . Enjoy everyone. Seeing as people HAVE bought from groupon, can someone PLEASE tell me why my coupon code is not accepted? I’m really excited for these and I can’t even order them because the bass buds website is not accepting my groupon code..
Reef Keeping 101 – The simple affordable reef.